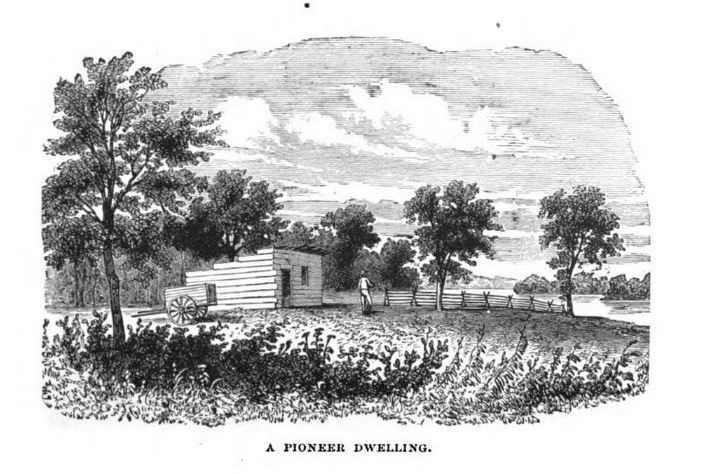 A farmer woke up on a cool fall day in the 1820s, not long after Indiana became a state, with a lot on his mind. He worried that he might not get all of the crops in before the first frost and that his hogs wouldn’t fetch as high a price at the market this year. His wife worried about whisperings in town that the milk sickness had claimed another neighbor. Their children didn’t have much time to worry though. They were up before the sun to feed the animals and clear the wild back acres. Whatever their specific trials, they had more immediate concerns than learning algebra, astronomy, philosophy, or the history of ancient Greece. 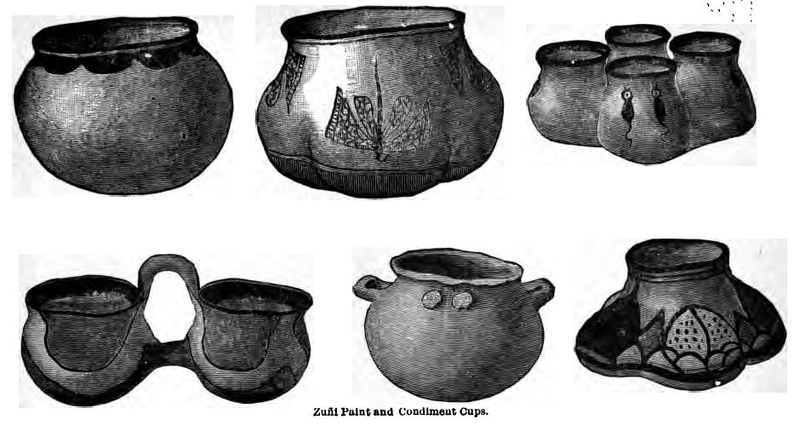 History of Wayne County Indiana, Together with Sketches of Its Cities, Villages and Towns…, Vol. 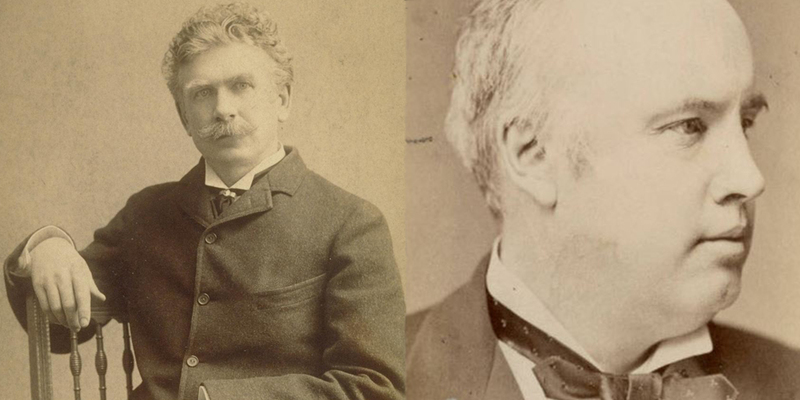 I (Chicago: Inter-State Publishing Co., 1884), 362, accessed Google Books. For many Hoosiers, education was not a priority compared to the immediate needs of the family farm or business. But others craved knowledge beyond the basic reading and arithmetic taught in one-room school houses. These ambitious students desired knowledge of the wider world, and fortunately for them, the State of Indiana worked to provide institutions of learning to meet their aspirations. In the case of the Wayne County Seminary, in the small but thriving town of Centreville (later Centerville), the mission was an incredible success. Over several decades hundreds of young men and women pursued advanced education within its walls. ONE ROOM SCHOOLHOUSES. Left: “Old Schoolhouse and Students,” December 1882, Syracuse-Wawasee Historical Museum, Indiana Memory Digital Collections; Center: “One-Room Schoolhouse, Hope, Indiana,” 1908, postcard, Dortha C. May Collection, Indiana Album; Right: Children at a One-Room Schoohouse, Lafayette, Indiana,” c. 1880,stereograph, Joan Hostetler Collection, Indiana Album. All images accessed via Indiana Memory. 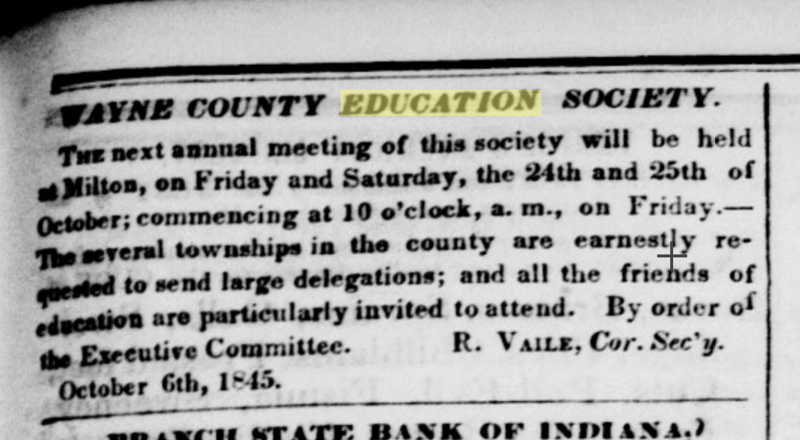 The 1816 Indiana Constitution and subsequent acts of the Indiana General Assembly encouraged and provided for the creation of an educational center in each county open to all citizens (although not free of tuition) known as a “county seminary.” By the late 1820s, many Indiana counties had established such an institution. While today “seminary” refers to a theological school preparing students for ministry, the county seminaries were non-denominational. They included primary and secondary classes and in some cases even collegiate and classical courses of study. In counties where the township schools flourished, the seminaries offered only the higher education classes . In January 1827, the Indiana General Assembly passed an act requiring the appointment of “County Seminary Trustees,” who were charged with acquiring land and contracting a building. Wayne County appointed its trustees in June 1827. Over the following year and a half, the trustees secured a location and built a fine brick structure that would house eager students for over sixty years. COUNTY AND TOWNSHIP SEMINARIES Left: “Seminary Building: Copy of a photograph of the the Vigo County Seminary,” n.d. Indiana State University Archives, Cunningham Memorial Library, Wabash Valley Visions & Voices: A Digital Memory Project; Center: “Seminary Place, Hope, Indiana,” 1909, Dortha May Collection, Indiana Album; Right: “Sand Creek Tsp. Seminary, Bartholow County,” photograph, 1932, Frank M. Hohenberger Photograph Collection,” Lilly Library, Indiana University Image Collections Online. All images accessed Indiana Memory. (Richmond) Western Times, October 17, 1829, 3, accessed Hoosier State Chronicles. The Wayne County Seminary opened humbly. Teacher and administrator Nathan Smith announced via local newspapers that he would, “commence teaching a school in the Seminary in this town” on October 26, 1829, for a term of “three months, or longer, if the pleasure of those concerned requires it.” Tuition during this first term ran parents two dollars if their young scholar studied geography and English grammar and two dollars and fifty cents if mathematics was included. At the time, this was a good amount of money. For comparison sake, on the same page of the Western Times that the seminary announcement appeared, the Centreville Market advertised a dozen eggs for three to four cents and “Hams, good” for four to five cents, while whiskey would have cost you a whopping eighteen to twenty cents for a gallon. 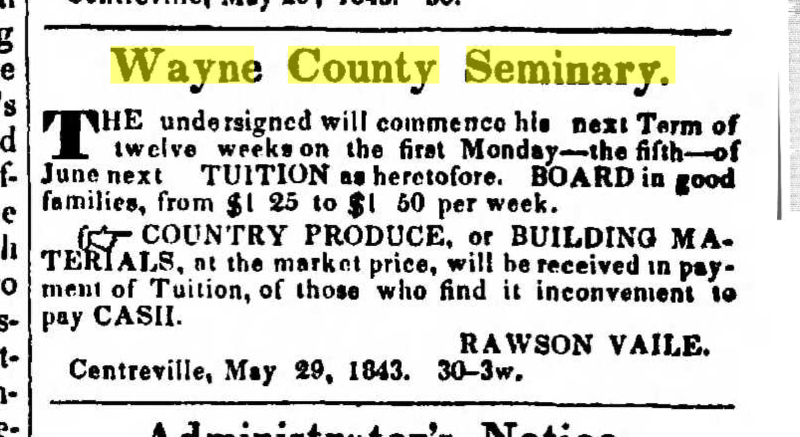 So, in 1829, fifty good hams could get you into Wayne County Seminary. This calculation is more than an exercise. Over the following years, the school would allow the mainly agrarian locals to trade produce and farm products for education. History of Wayne County, Indiana: Together with Sketches of Its Cities, Villages and Towns…(Chicago: Inter-State Publishing Co., 1884), 349, accessed Archive.org. Considering, that the reputation and utility of the Seminary stand closely allied with the literary interests of this county, and knowing that the location of the one is nearly equidistant to the boundaries of the other, [the trustees] do earnestly invite those gentlemen, who know and appreciate the worth of a good education in the youth of the country, to place their sons, daughters and wards within this institution. From the casual tone of appeal to parents to send their daughters, it seems likely that women had been included for some time, if not from the start. This 1835 trustees’ statement is no declaration that the school recently started accepting young women. Instead, it assumes some sort of general knowledge that young women had already been attending the school and expresses their hope that more young women would enroll. 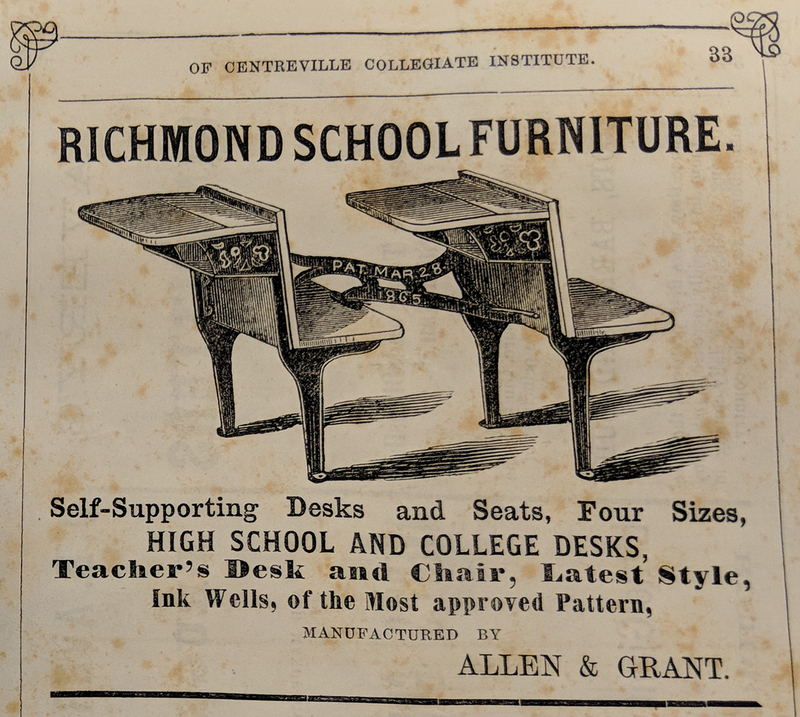 The Register and Annual Catalogue of Centreville Collegiate Institute (Richmond, Indiana: Crawley & Maag Printers and Binders, July 1866), 33, Indiana State Library. The trustees also announced in 1835 that superintendent Smith would “be aided in his labors by the additional services of Mr. S. K. Hoshour.” By the following year, Samuel K. Hoshour took charge of the seminary and became perhaps the school’s most influential administrator. 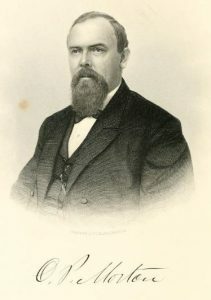 During Hoshour’s time at the Wayne County Seminary, he mentored several students who went on to become important Hoosiers, including Jacob Julian, Oliver P. Morton, and Lew Wallace. It’s worth stepping away from the seminary story to look briefly at the careers of these Wayne County luminaries. “Jacob Julian [James T. Layman] House, 29 S. Audubon Rd. (Irvington) Indianapolis,” photograph, 1929, Indiana Landmarks Wilbur D. Peat Collection, Center for Digital Scholarship, IUPUI University Library, accessed Indiana Memory. 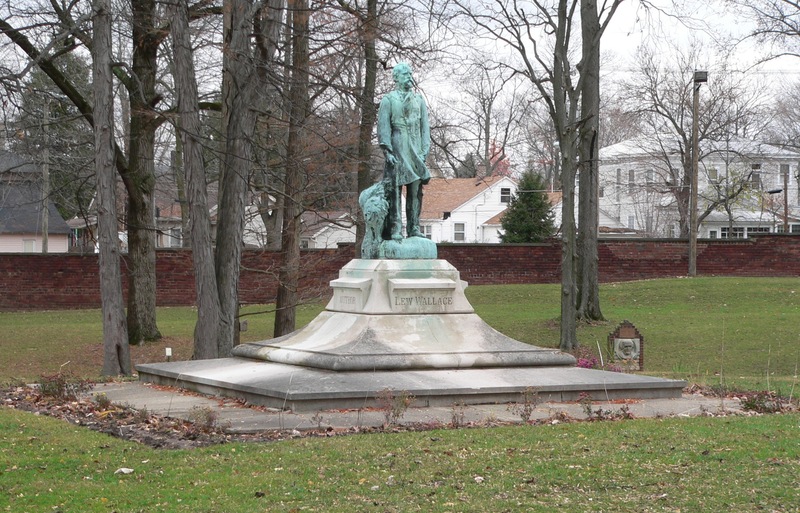 After completing his schooling, Jacob Julian became a prominent Centerville lawyer and briefly the law partner of his brother George Washington Julian. Jacob was involved in local politics as a staunch supporter of the Whig party. In 1846, Wayne County residents elected Jacob Julian to the Indiana House of Representatives and reelected him in 1848. Later Julian co-founded the town of Irvington, just east of Indianapolis. 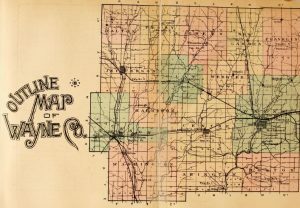 History of Wayne County Indiana, Together with Sketches of Its Cities, Villages and Towns…, Vol. 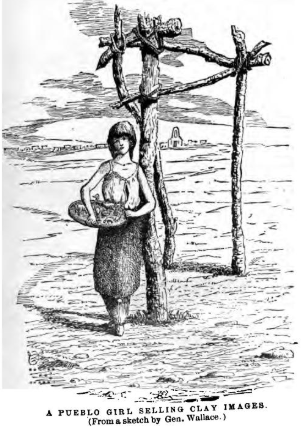 I (Chicago: Inter-State Publishing Co., 1884), 362, accessed Archive.org. 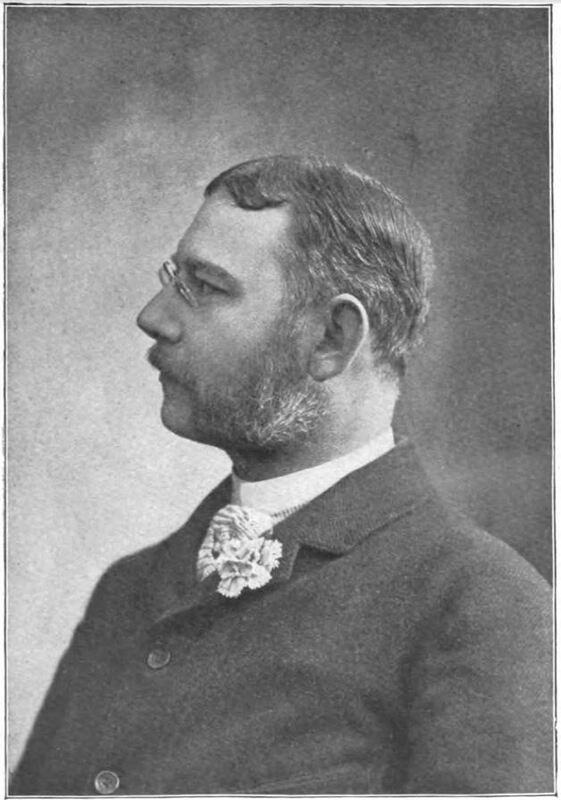 Oliver P. Morton also began his career as a lawyer in Centreville. He represented Wayne County at the seminal first convention of the new national Republican Party in 1856. 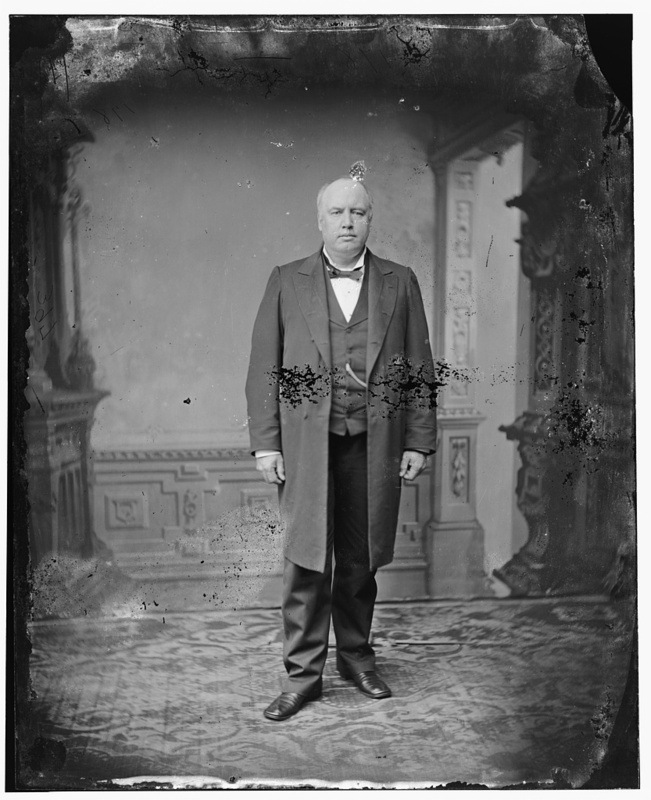 He was elected lieutenant governor of Indiana in 1860, but almost immediately became governor when Henry S. Lane left the position for a U.S. Senate seat. Morton served as governor throughout the Civil War and won election to a second term in 1864. 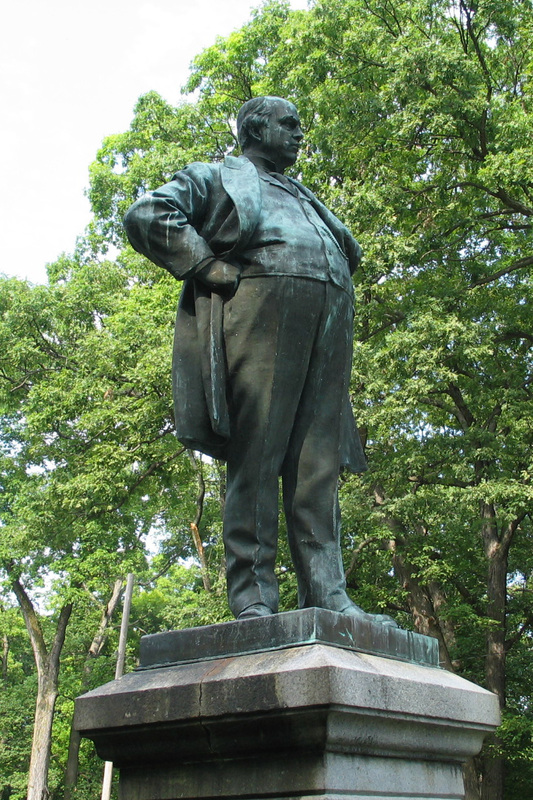 He completed Lane’s term in the U.S. Senate in 1867 and was reelected again in 1873. Lew Wallace, the son of an Indiana governor and grandson of a congressman, began a law practice in 1849, and settled in Crawfordsville in 1853. With the start of the Civil War in 1861, he volunteered for service and before the war’s end was a major general. Wallace later served as governor of the New Mexico Territory and U.S. minister to Turkey (the Ottoman Empire). 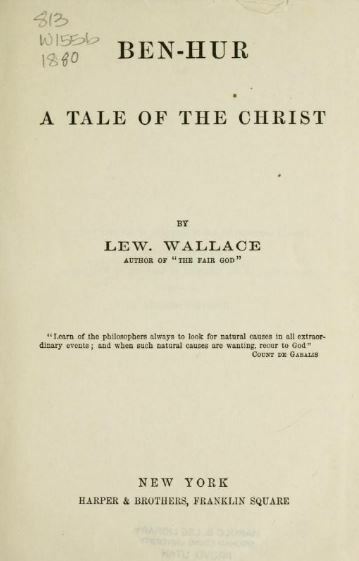 He is best remembered and acclaimed as the author of Ben-Hur: A Tale of the Christ (1880). Snippet from one of the many versions of Ben-Hur. This one was taken from an illustrated volume “The Chariot Race from Ben-Hur by Lew Wallace,” Illustrated by Sigismond Ivanowski (New York: Harper & Brothers Publishers, 1908, accessed Google Books. Professor Hoshour was the first to observe a glimmer of writing capacity in me. An indifferent teacher would have allowed the discovery to pass without account; but he set about making the most of it, and in his method there was so much wisdom that it were wrong not to give it with particularity… The general principle on which the professor acted is plan to me now. The lack of aptitude for mathematics in my case was too decided not to be apparent to him; instead of beating me for it, he humanely applied to cultivating a faculty he thought within my powers and to my taste. 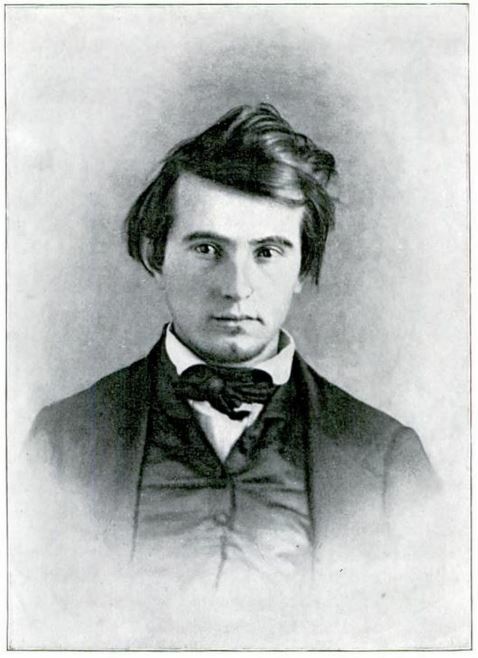 “Lew Wallace, Age 21,” photograph, in Lew Wallace: An Autobiography, Vol. 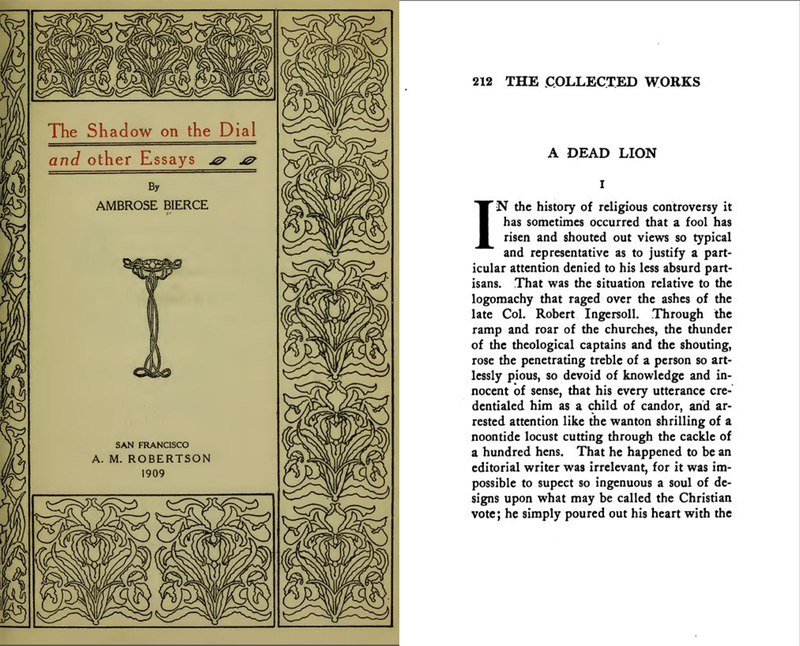 I (New York and London: Harper & Brothers Publishers, 1906), 208, accessed Google Books. 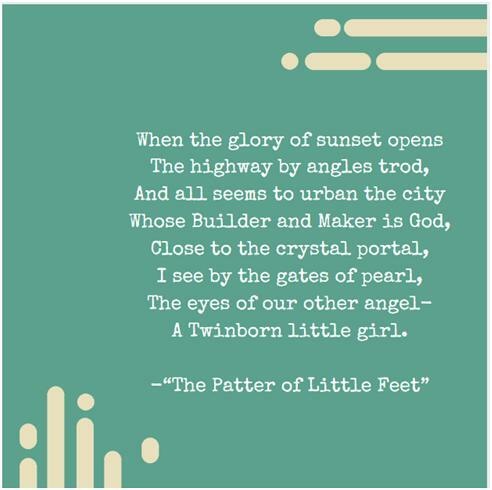 This was entirely new to me, and I recall the impression made by the small part given to the three wise men. 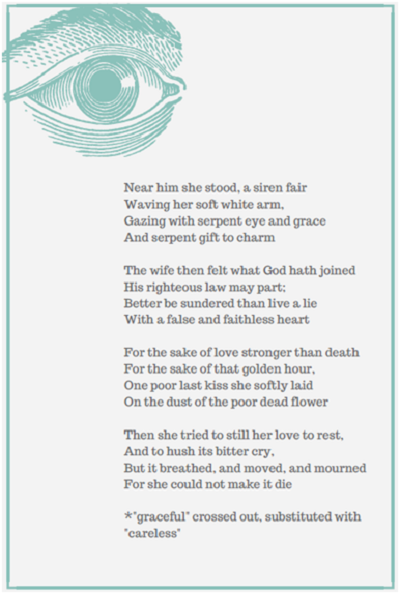 Little did I dream then what those few verses were to bring me – that out of them Ben-Hur was one day to be evoked. 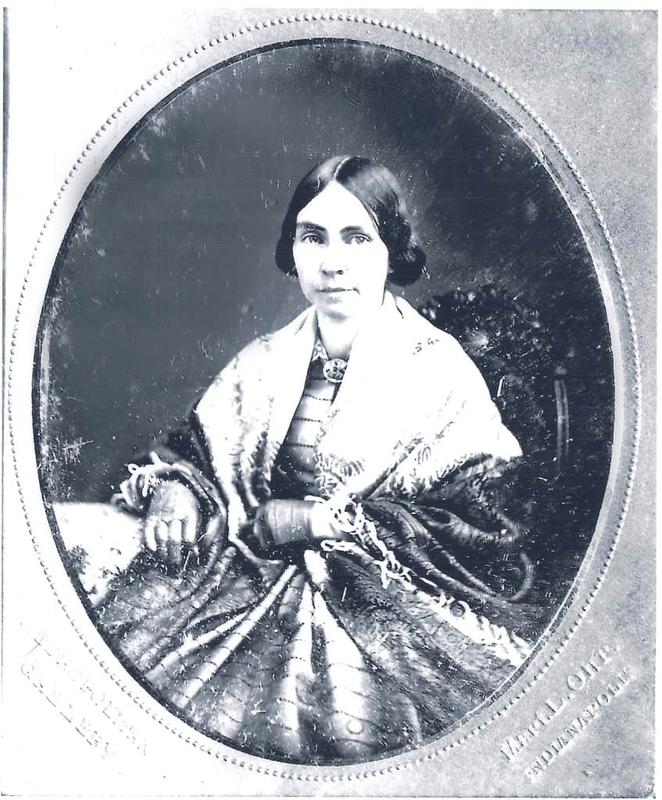 While the seminary forged some great Hoosier men, the young women of the Wayne County Seminary thrived as well. Although the prejudices and legal obstacles of the period kept them from the public successes of their male peers, sources show the female students equaled the male students’ academic achievement, and perhaps even exceeded them in some areas. 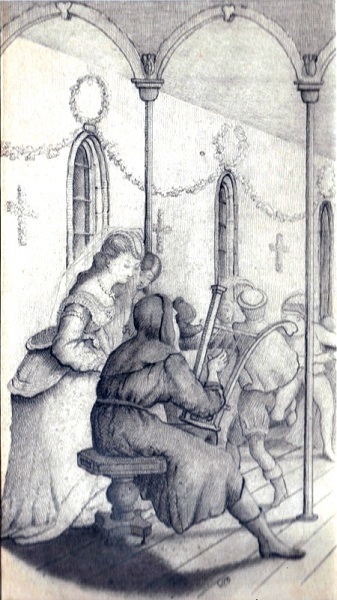 The young women took classes on the same subjects as the young men, but their classes were separate and taught by female teachers. Several sources show that these women were highly respected in their community, praised by newspaper writers, and in in many ways treated as peers by their male colleagues. 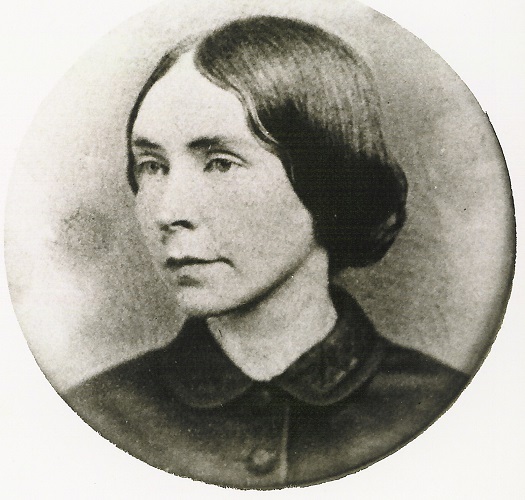 For example, when the county’s teachers formed the Wayne County Education Society in the early 1840s, seminary teachers Mary Thorpe and Sarah Dickson were not only included, they served on various committees that decided appropriate school texts, punishments, and funding. 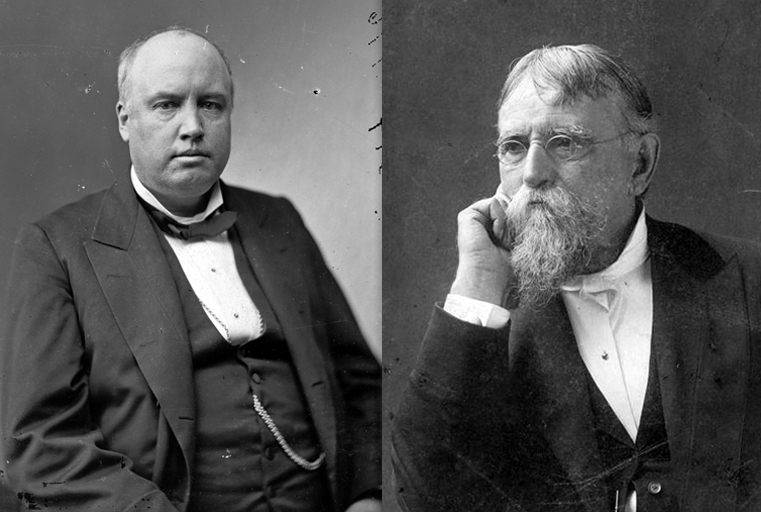 They served side by side with their male colleagues and prominent community members such as Levi Coffin, George Washington Julian, and Solomon Meredith. Richmond Palladium, October 8, 1845, 3, accessed Hoosier State Chronicles. Miss Thorpe Respectfully informs the Citizens of Centreville, that the late change in the Wayne County Seminary, will in no way affect her School; but that it will, as heretofore, remain under her exclusive control. Throughout the 1840s, the Wayne County Record covered the “public examinations” of both the male and female students. During these student exhibitions, parents and other Wayne County residents packed into the nearby Methodist church as it was the only building large enough to hold the interested crowds. The program featured original essays, debates, as well as musical and dramatic performances. In March 1842, the Wayne County Record covered the examination of the male students and praised Principal Vaile, focusing on his penchant for strict discipline. However, the newspaper was harshly critical of the enunciation and articulation of the male students. 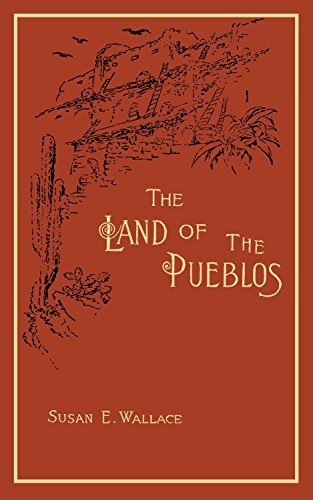 From the lowest classes, studying the simple elements of Geography, or numbers, up to those in the higher branches of Natural Philosophy, Grammar, Astronomy, Algebra and Political Geography, all, as far as they had severally* advanced, seemed to understand the ground over which they had traveled. They did not possess a mere smattering knowledge but could readily tell the why and wherefore of the question propounded to them. “United Terrestrial Globe,” 1854, Hollbrook’s Apparatus Mfg. 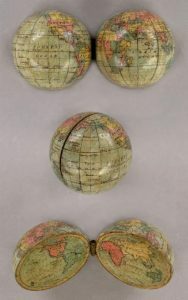 Co., David Rumsey Historical Map Collection, Cartography Associates.The collection caption states: This three inch solid wood, paper covered globe is hinged to open and reveal the western and eastern hemispheres on a flat globular projection on the two inside surfaces. It was used as a teaching device to show students how a globe can be represented on a flat surface. The Wayne County Record also praised Sarah Dickinson, the able teacher of these impressive young women: “We feel assured that no one has ever taught here, either Male or Female, that has given more general satisfaction.” Let’s hazard a guess that the young women would have been quite pleased with their success, and maybe even by their besting of the young men in the press’s estimation. 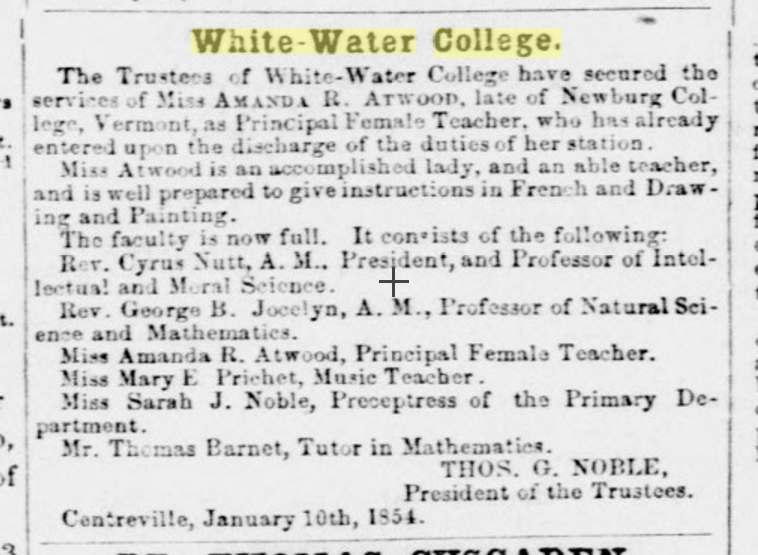 By the late 1840s, the institution reorganized and the new board of trustees changed its name to Whitewater Female College and Academy. Despite this somewhat misleading name, the school continued to educate both young men and women. 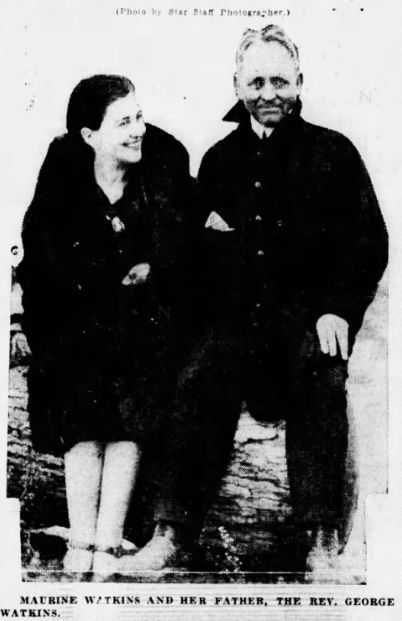 While the board was now under the administration of the Methodist Episcopal Northern Indiana conference, classes remained secular and boarding students could still attend the church of their parents’ choice on Sundays. Notably, in 1849, the female students founded the prestigious Sigournian Society, a literary organization with its own library at the school. 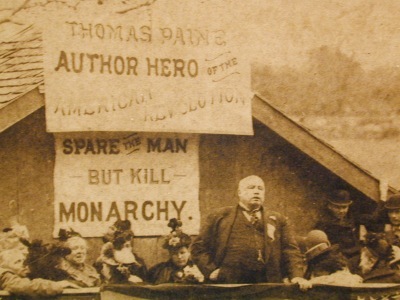 The society held exhibitions of original essays, hosted lively political debates, and performed music. The crest of the society featured an open book with a halo of light with their motto: “Many shall run to and fro and knowledge shall be increased” (Daniel 12:4). Richmond Weekly Palladium, January 12, 1855, accessed Hoosier State Chronicles. Over the following decades the school saw many changes but ardently continued its lofty educational mission. By the 1850s, the school, still under the “patronage” of the Methodist Conference, became known simply as “White Water College.” By this point, over 200 students attended the institution. In the early 1860s, after some financial trouble, the board sold the institution to Wiliam H. Barnes who remodeled and reopened the school and served as its president for a time. 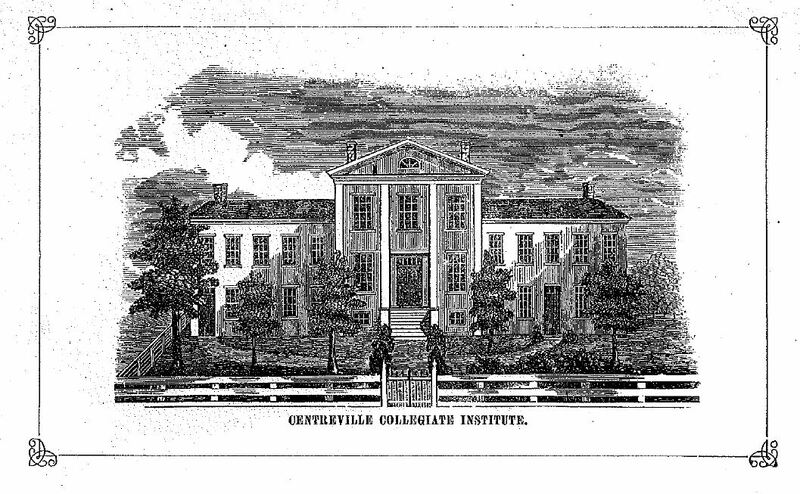 In 1865, the academy again changed administration and name, reopening in September 1865 as the Centerville Collegiate Institute. 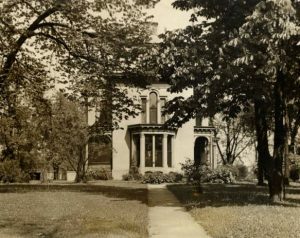 In the early 1870s, the site that once hosted the prestigious Wayne County Seminary became a public school. All signs of the original school were destroyed by fire in 1891. Register of Centreville Collegiate Institute, 1866, submitted by applicant for the Wayne County Seminary state historical marker, 4-5. Available in Indiana Historical Bureau marker file. 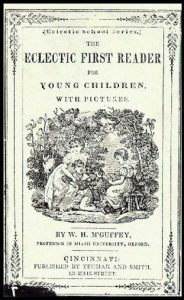 William Holmes McGuffey, The Ecclectic First Reader (Cincinnati: Truman and Smith, 1841), accessed Wikipedia. Today, not far from the site of the seminary, local kids attend Centerville Elementary School. 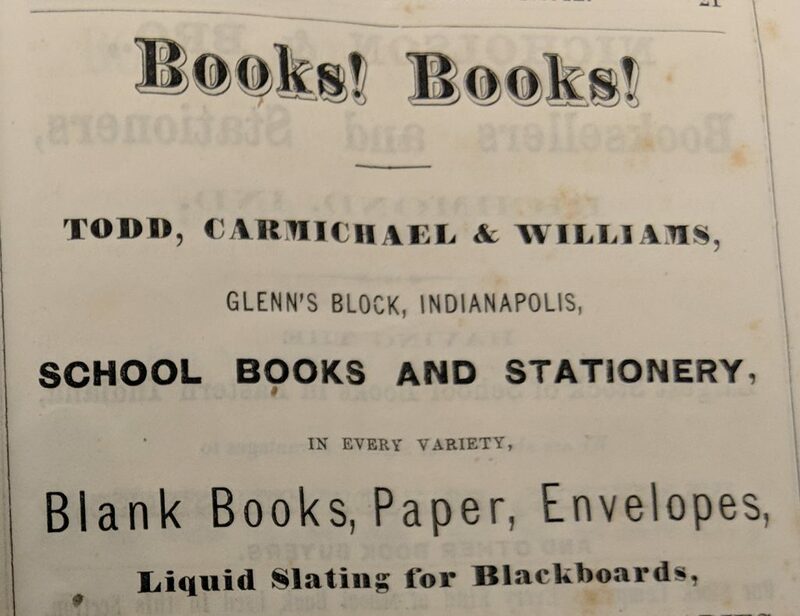 If the teachers were to have their kids look out of the school’s east facing windows, perhaps they can imagine their distant relatives walking into the old seminary carrying “McGuffey’s Eclectic Series of School Books” and maybe even “country produce or building materials . . . in payment of Tuition.” And the teachers can appreciate that, while they might still have the same problems that Professor Vaile had in 1842 in getting his students to enunciate clearly, at least they don’t have to “procure all the fuel necessary” this icy winter as Professor Smith did back in 1829 at the opening of the ambitious, progressive, and democratic Wayne County Seminary. Most of the primary sources referenced in this are newspaper articles accessed via Hoosier State Chronicles. 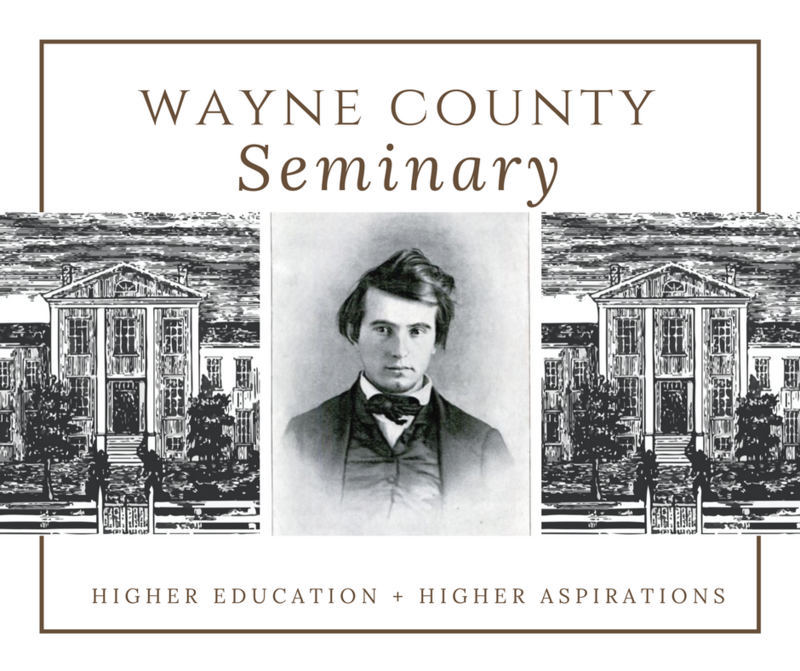 A complete list of all articles used can be downloaded here: Wayne County Seminary timeline. 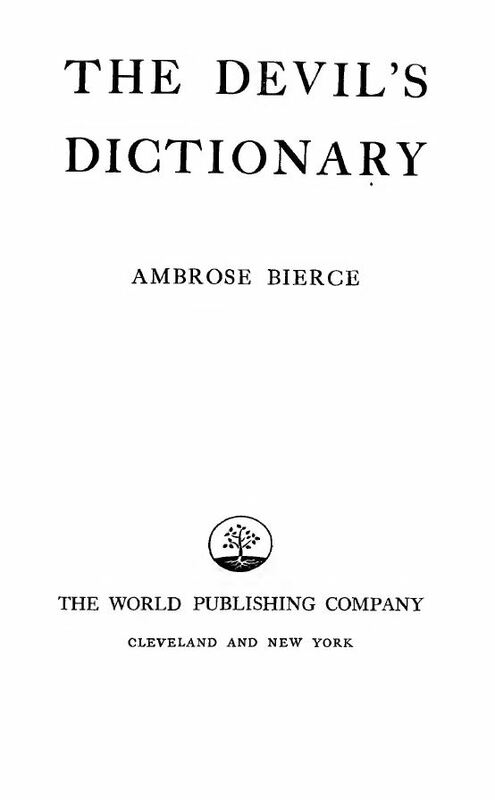 Most secondary information came from: Richard G. Boone, A History of Education in Indiana (New York: D. Appleton and Company, 1892), 42-86. *I came across scattered mentions of the term “several schools” in the contemporary newspapers. Though I was not able to find a precise definition, I gleaned from the context of the articles that the term refers to the level of education after primary and before college, roughly equivalent to what would be middle school through high school today. 2016 movie poster, courtesy of Imdb.com. The release of the new Ben-Hur movie this summer reminded us of the story’s Hoosier origins. This latest production from Mark Burnett and Roma Downey is the fifth time that film producers have interpreted Crawfordsville native Lew Wallace’s best-selling novel for the screen. Many are familiar with the 11 Academy Award winning adaptation starring Charlton Heston in 1959 and most film buffs know that there were two earlier versions in 1907 and 1925. The 1907 film prompted a landmark U.S. Supreme Court decision that protected copyrighted works from unauthorized motion picture adaptation. The 1925 film arguably has a better chariot race than the 1959 movie. There was also a forgettable and regrettable Canadian mini-series reboot of Ben-Hur in 2010. In a world of constant movie reboots, one ponders: if Lew Wallace were alive today and re-wrote Ben-Hur in a contemporary setting, would he have Ben-Hur racing in the Indianapolis 500? 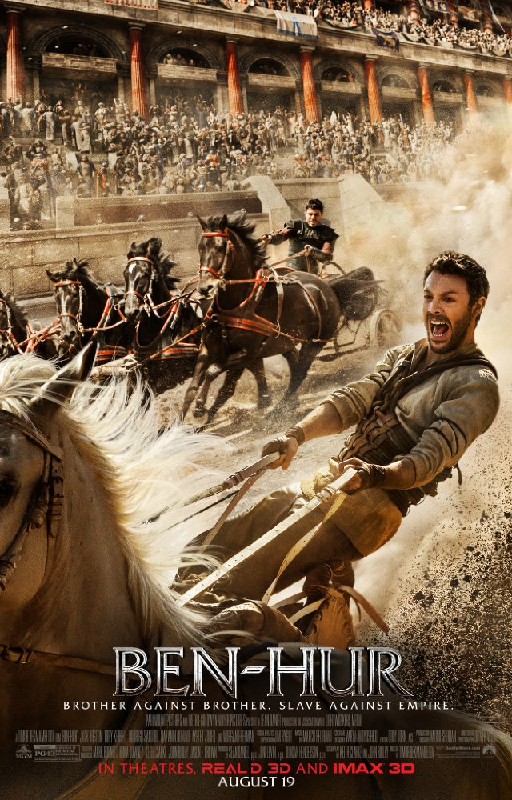 What if we told you that Ben-Hur did, in fact, race at Indianapolis? 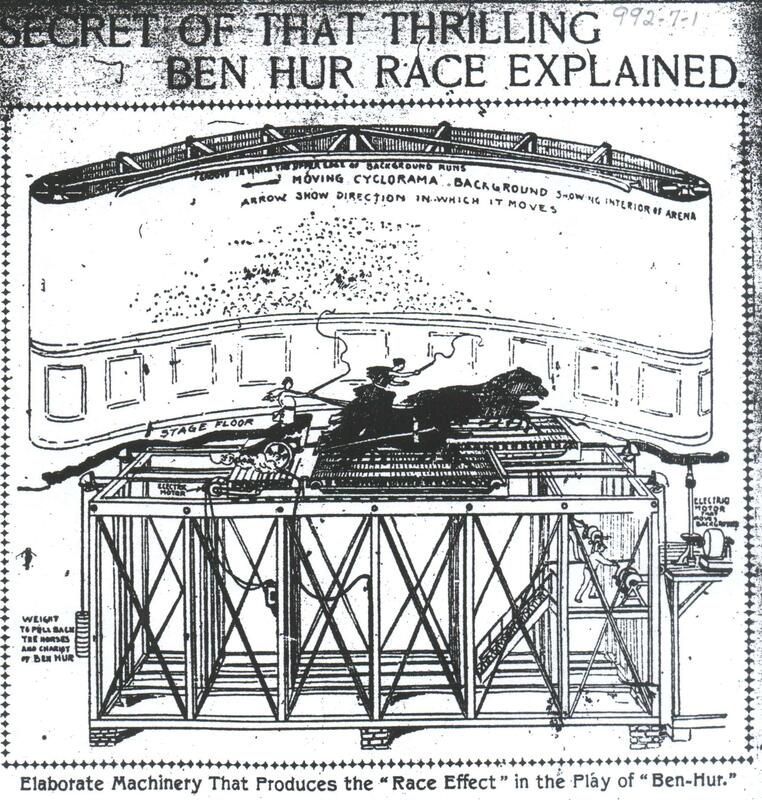 Of course, the race did not take place at the Indianapolis Motor Speedway; instead it took place in 1902 at English’s Theater during the Ben–Hur stage play’s first visit to Indianapolis. The stage race as explained and illustrated in pages of Scientific American. 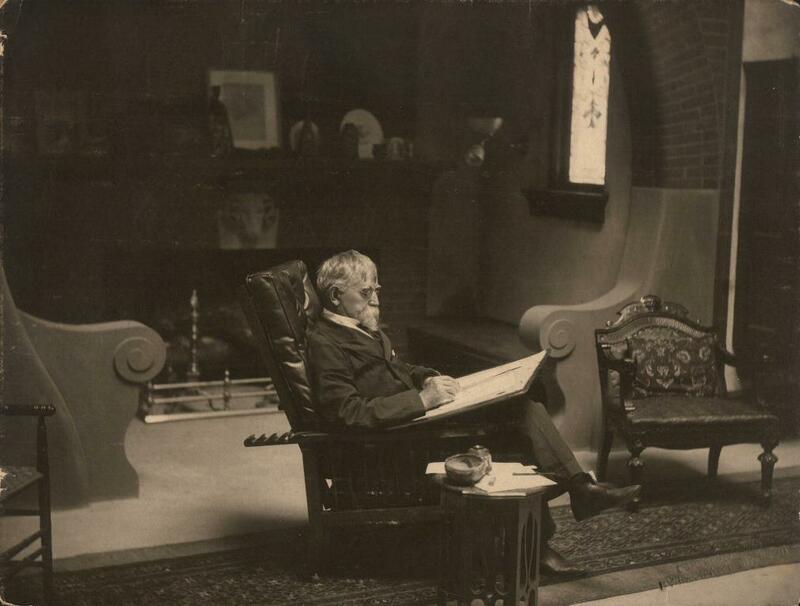 Image from General Lew Wallace Study and Museum website. Ticket prices ranged from fifty cents to two dollars. 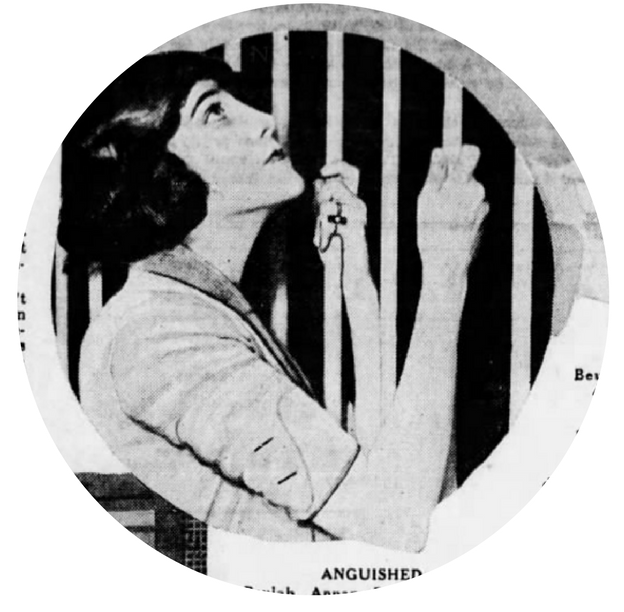 Even at that rate, a day after the tickets went on sale, the English Theater reported “over $10,000 was taken in at the box office window” and representatives for the producers of the play (Marc Klaw and Abraham Erlanger) announced that the sales “beat all records for the play in advance sales.” The Supreme Tribe of Ben-Hur, a national benevolent society headquartered in Wallace’s hometown of Crawfordsville, nearly bought out one performance by itself. The Tribe planned to run an excursion via train for its members from Crawfordsville to see the play. 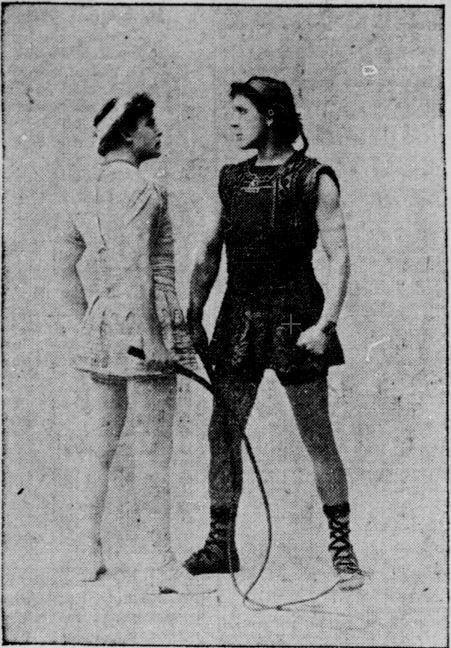 Ben-Hur and Messala face off in a promotional picture for the production. Courtesy of Hoosier State Chronicles. 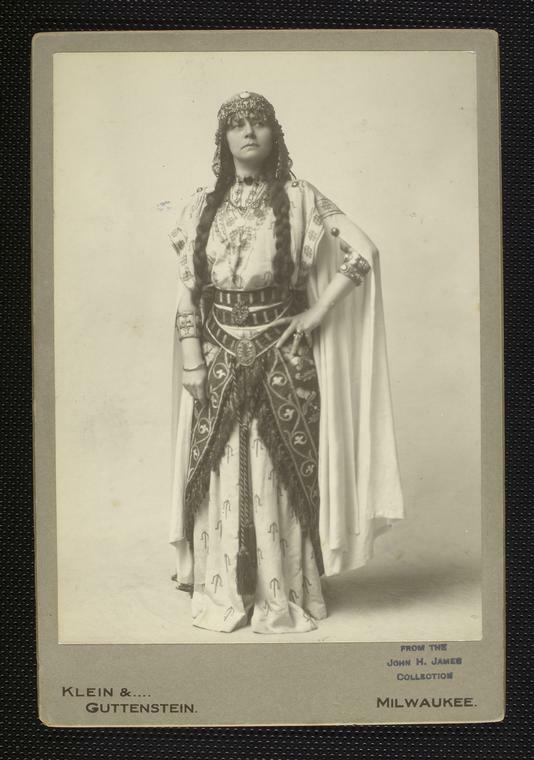 Mabel Bert in costume as the mother of Ben-Hur. 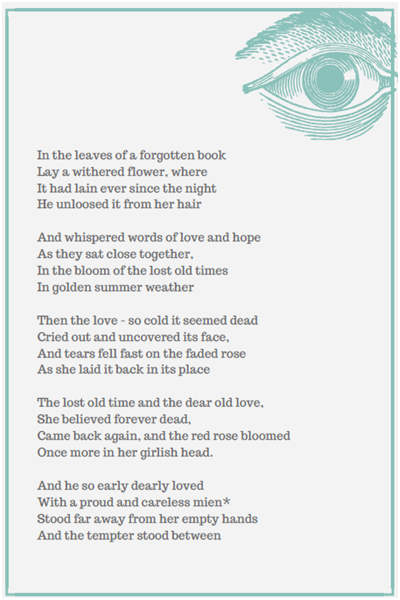 Courtesy of the New York Public Library. 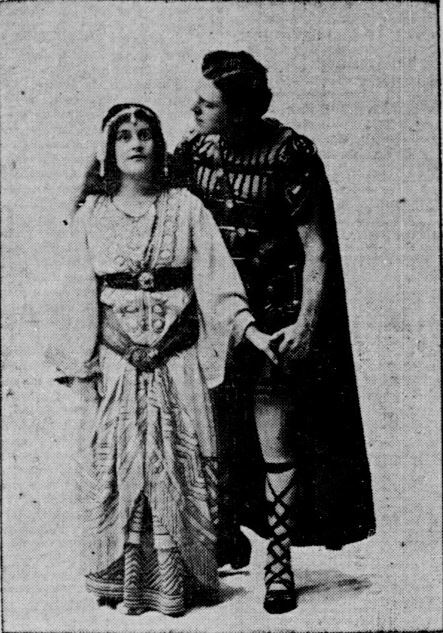 Esther and Ben-Hur in a promotional photo for the production. Courtesy of Hoosier State Chronicles. The public certainly found nothing monotonous about the play. 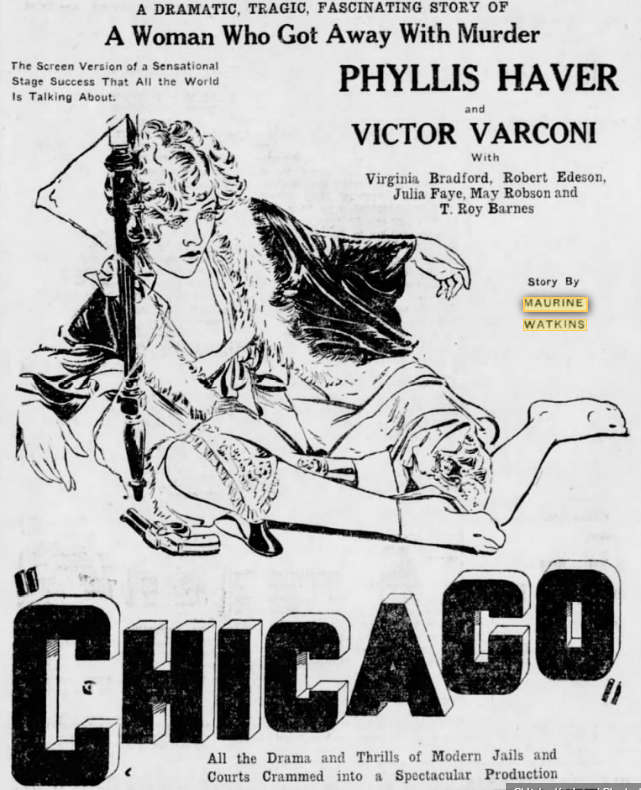 In fact, the production was originally slated to run for two weeks in Indianapolis, but four days after opening night the Indianapolis News reported that the high demand for tickets had prompted producers to extend the play for another week. Box office receipts for the first two weeks alone were estimated in excess of $35,000. That figure broke all box office records for Indianapolis and was the highest figure for all productions of Ben-Hur to that date. 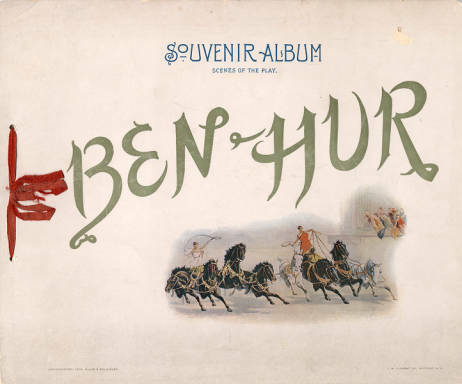 The cover of the Souvenir Album of the 1902 Indianapolis production of Ben-Hur. 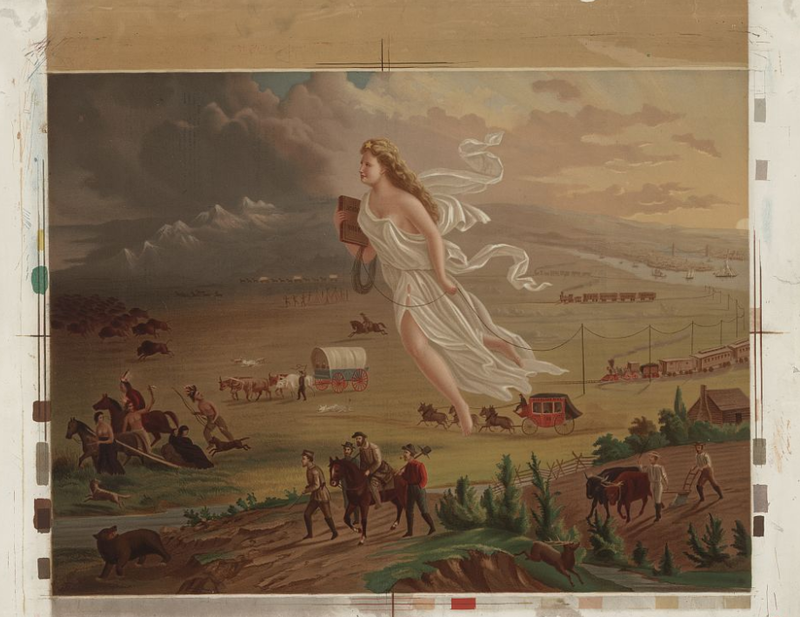 Courtesy of Indiana Historical Society. This description of the popularity of Ben-Hur, while no doubt true, neglects that a major reason for the large turnouts was because the author of Ben-Hur was a native Hoosier son. Some Indiana cities, such as Covington, Franklin, and Noblesville, brought large numbers of their population and sold out individual performances. 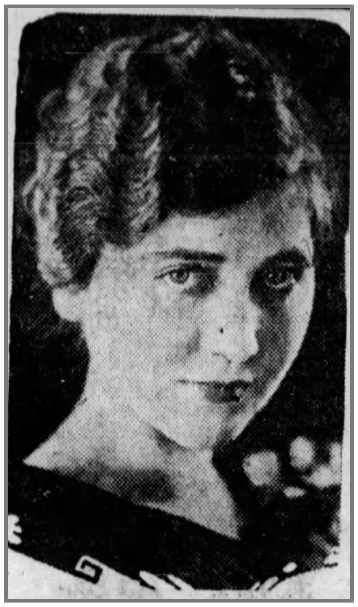 In fact, Covington could not secure as many tickets as they had citizens who wanted to attend; the Indianapolis Sentinel reported that a small riot broke out as a result. 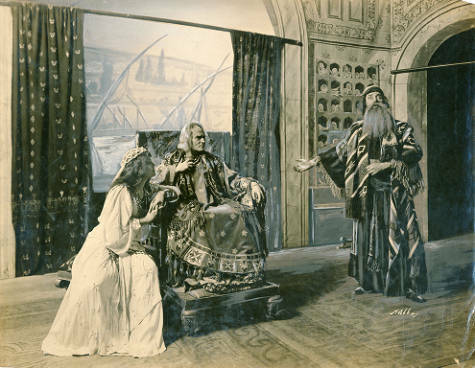 An example of the final scene from the theatrical version of Ben-Hur, which opened at the Grand Opera House, Seattle, on Oct. 9, 1905. Courtesy of the University of Washington. 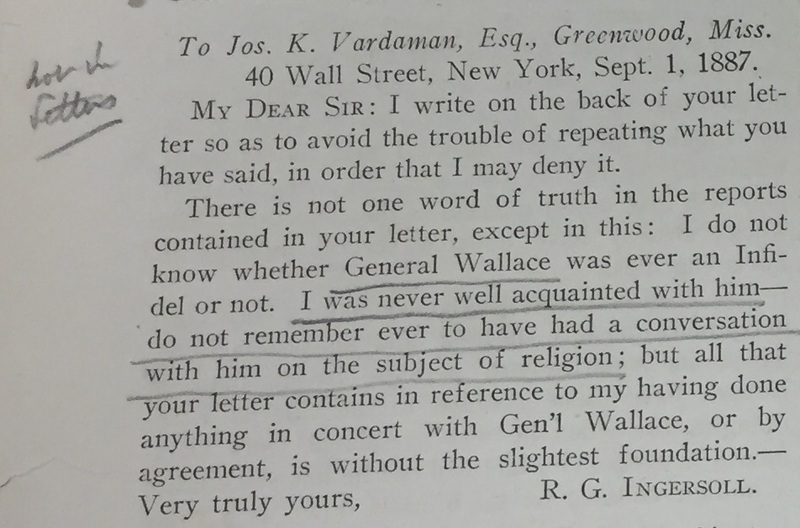 Although the December 2 performance hosted one Montgomery County literary celebrity, another one was conspicuously absent, that being General Lew Wallace, the author of Ben-Hur. 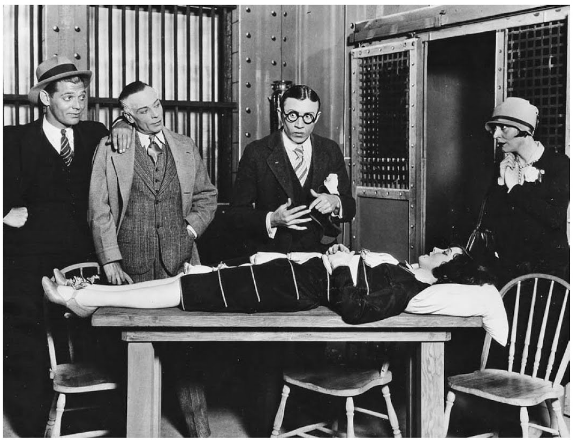 Wallace was recovering from an illness during the Crawfordsville excursion. However, he was sufficiently recovered to attend a matinee with his son, daughter-in-law, and his two grandsons on December 12. Wallace watched most of the play from a private box and tried to remain as inconspicuous as possible, lest he be called upon to deliver a speech. Wallace and his party were invited behind the stage so that they could witness how some of the scenes were produced, especially the chariot race. Wallace took special interest in watching the race and all of the mechanization that was involved. While backstage, Wallace met the starring members of the cast and reportedly chatted for several minutes with the actor incarnating his literary creation. Before returning to his box Wallace remarked to a stage manager that the production had reached a state of perfection. 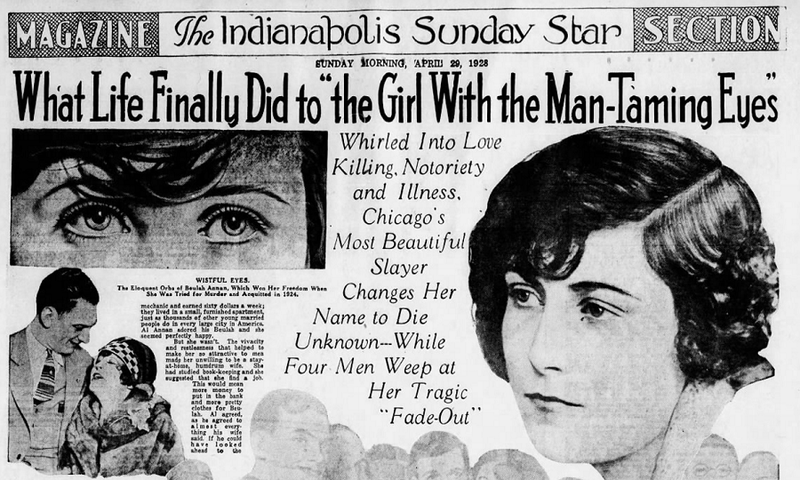 Ben-Hur ended its stay in Indianapolis the day after Wallace’s visit, before moving to Milwaukee for a two-week engagement. 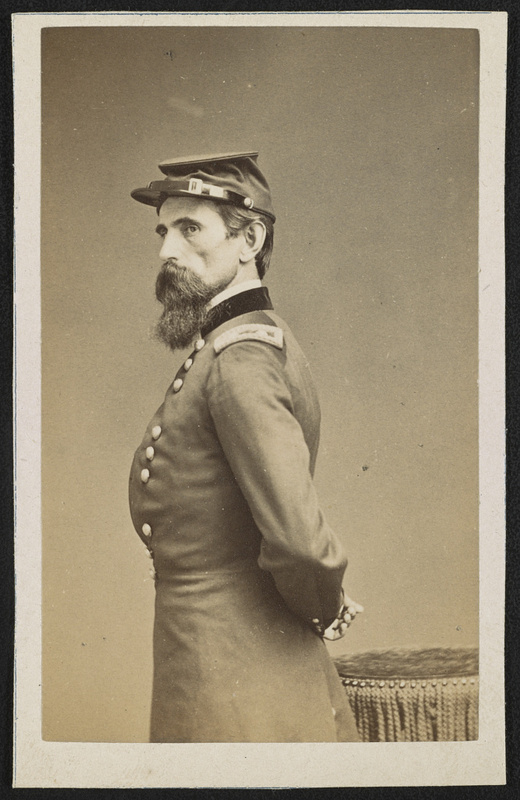 Learn more about Lew Wallace, his father David Wallace, his stepmother Zerelda Wallace, and his mother Esther Test Wallace with other IHB historical resources. 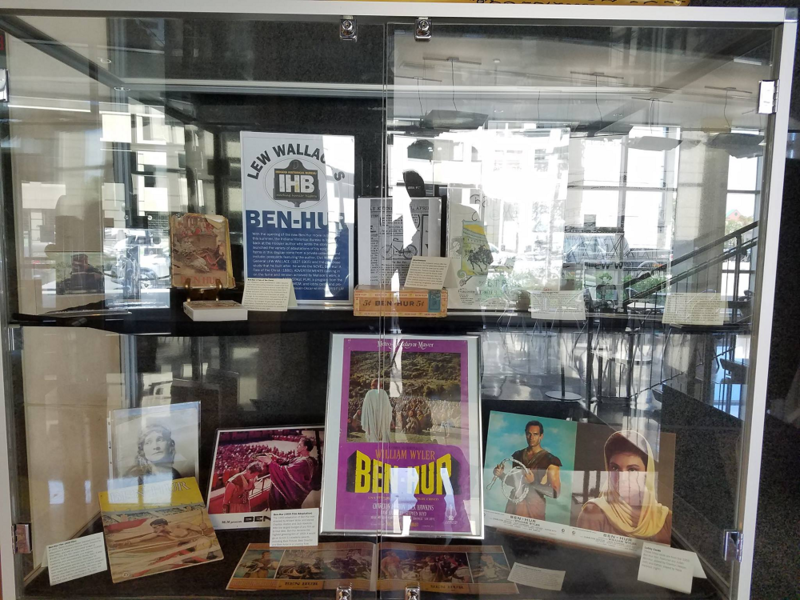 Stop by our exhibit in the Indiana State Library to see memorabilia from productions of Ben-Hur.